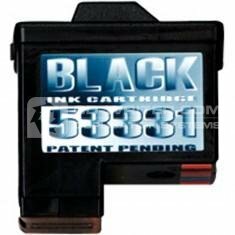 The Primera 53331 Black Ink Cartridge is the official cartridge for use with the Primera Bravo/Bravo 2 Autoprinter/publisher. You can be assured that the outcome of printing with this authentic ink cartridge is second to none and will give your CDs and DVDs that professional-vibrant finish they need for the ultimate results. Whether you are printing for customers, exhibitions, demos or promotions the 53331 Black Cartridge from Primera is guaranteed to give you the highest quality presentation for your discs. PRIMERA . Bravo . 2 . XR . INK . BLACK . 53331 . Primera .